There are close to 400,000 species of plants across the globe. It’s no surprise that herbal medicine has flourished in many corners of the world throughout the ages, considering the amount of flora available. You may be familiar with some natural sleep remedies like Valerian or Lavender; and even the North American native Passionflower, which has been included in the formulations of several all-natural sleep aids that have come out in recent years. However, there will always be plants that you won’t have heard of due to cultural or locational barriers. Some, as you will find below, may be not completely unknown, but not typically thought of as a way to treat sleep problems. We’ve compiled a short list of exotic—or otherwise unfamiliar—plants that have long been used medicinally in their locales, though not always for sleep. We’ve seen them all in various sleep aid formulations, though! You can find them in dietary supplements, tea blends, and sometimes even in single-ingredient tinctures or powders. As with prescription sleep aids, please don’t take any of these remedies with alcohol and don’t operate machinery after dosing. And it bears repeating: Always consult your doctor before trying these remedies–particularly if they are to be administered to children, women who are pregnant or nursing, or those prone to liver problems. Just because something is natural doesn’t mean it’s automatically good for you. Ashwagandha is a nightshade (Solanaceae), but don’t let that fool you into automatically thinking that Ashwagandha is poisonous or deadly. Many common vegetables—such as eggplants, tomatoes, and peppers—also belong to the nightshade family. For peace of mind, though, know that its safety and possible toxicity has been studied. 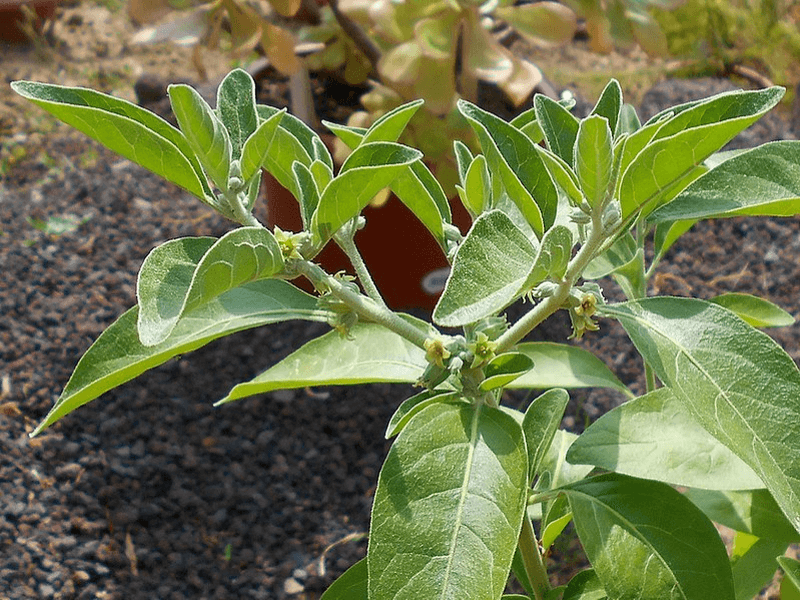 Although not grown locally in the US, Ashwagandha has seen an increase in popularity due to the dietary supplement boom accompanying the rise of the health and wellness industry. The plant is known for its use in Ayurveda, an alternative medical system with historical roots in India. It is considered one of the most potent plants in the Ayurvedic practice—its reputation and importance in India is analogous to that of Ginseng in China, which likely explains the nickname “Indian Ginseng”—and although the fruits and leaves also have purported medicinal value, it is the root that it most often used. It is commonly used as a tonic, as it’s said to have a rejuvenating effect; aiding in recovery from illnesses, reducing stress and cortisol levels, and strengthening the immune system. In Yemen, powder ground from dried Ashwagandha leaves are made into a parts that is used on burns and wounds. Ashwagandha has also been studied as a sleep remedy; as has been found to induce slumber, aid in relaxation, and help in anxiety management. It is typically available as a powder, loose or in capsules. It must be noted that Ashwagandha has been found to help with sleep, but is often not marketed as such. In many cases, it’s included in formulations that address stress and anxiety management, immune system support, or energy. Better sleep seems to be an added bonus to its many, more popular effects. Would it surprise you to find out that black tea, green tea, white tea and even oolong tea all come from the same plant? 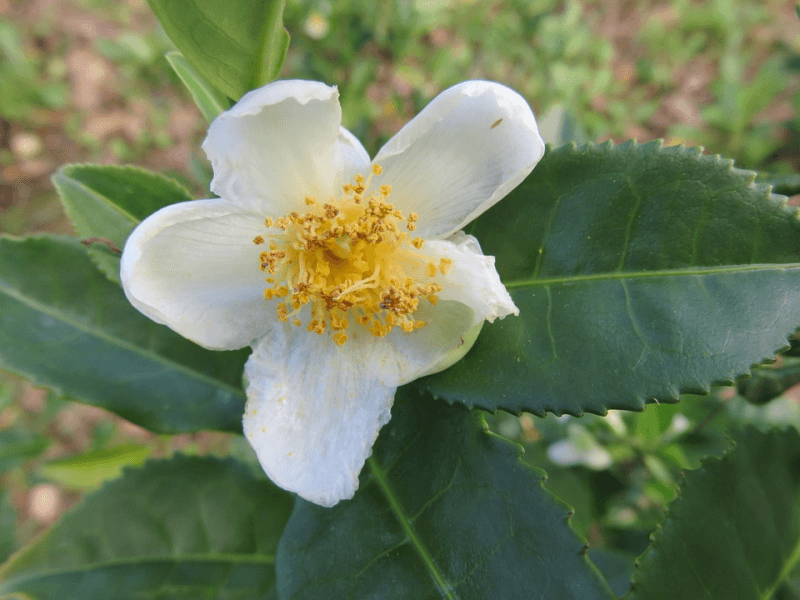 We couldn’t believe it at first, either; but it in our efforts to research Camellia sinensis and Camellia sinensis var. assamica—its popular subspecies—it became increasingly clear to us that this was the truth. Camellia is to tea as grapes are to wine, it seems; although this does not include herbal teas or fruit teas, also known as tisanes and infusions. It’s cultivated in many parts of the world, even the US; but as herbal medicine, the roots of its use are in China. The inclusion of Camellia in this list is really just to bring this fact to light, because it leads to something we’ve already covered before: the amino acid L-Theanine, which is commonly described in sleep studies and other media as being found in green tea. As we’ve already covered in other articles, L-Theanine has been shown to improve the body’s response to stress and anxiety, due to its relaxing and calming effect. It is typically available as tea, obviously. However, tea also contains caffeine, which may delay the onset of sleep; although you can try green tea, as its caffeine content is the lowest. If you’re looking to use Camellia specifically as a no-nonsense sleep remedy, you may want to take L-Theanine capsules as a dietary supplement instead. 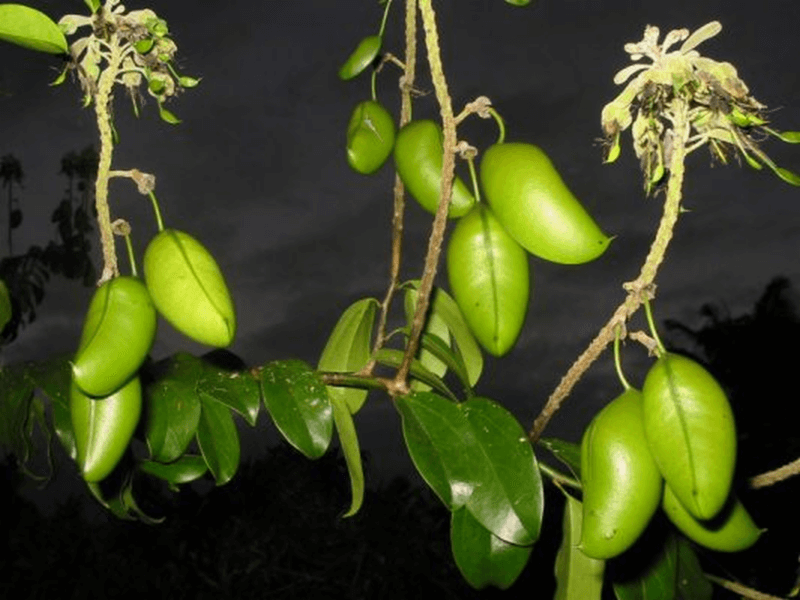 L-Theanine is also a common ingredient in all-natural sleep aids; the amino acid is a veritable superstar when it comes to botany as it relates to sleep health. This woody evergreen shrub native to Africa—particularly found in the tropics of Congo, Gabon, Liberia, and Nigeria—is a large climbing plant, of which many parts are used medicinally and otherwise. The wood can be used to make baskets and walking sticks, and the leaves can be used to make wine. The sap from its stems can even be used to quench thirst. Decoctions and pastes made from leave and stems are folk remedies for a variety of ailments: burns, constipation, coughs, decaying teeth, sores, wounds, and more. Its roots can even be used in the treatment of sickle cell anemia. However, it’s the seed of Griffonia that has captured the attention of dietary supplement makers; due to it containing high levels of the amino acid 5-hydroxytryptophan (5-HTP), which is an important building block and precursor of the neurotransmitter serotonin. Usually the human body synthesizes 5-HTP from L-tryptophan, which in turn is found in many kinds of food we consume. 5-HTP has been found to help in the management and treatment of depression, obesity, insomnia and even chronic headaches. When it comes to sleep health, it’s usually studied with GABA. It is not typically available or marketed as Griffonia, although virtually all commercially available supplements containing 5-HTP—either as a single ingredient or as part of a proprietary formulation—cite Griffonia as its source. Though it’s commonly found in all-natural sleep aids, it is sometimes sold as an appetite suppressant or mood enhancer. 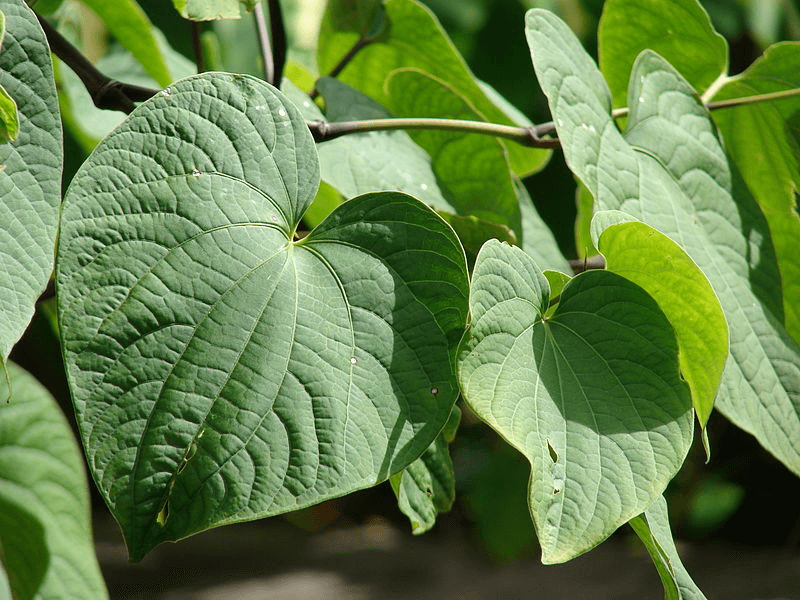 Kava comes from the Western Pacific, and is specifically significant to indigenous Pacific island cultures; such as those of Hawaii and other nearby Polynesian and outlying territories. In Vanatau particularly, it is grown in very large numbers. Traditionally, the roots of the Kava shrub are ground or pounded—sometimes even chewed—and then added to water. The resulting drink has been found to have anesthetic, euphoriant and sedative properties. Consuming this beverage is done for many purposes—social, political, religious, medicinal—and its use throughout the centuries has made it a cultural cornerstone throughout the Pacific. It must be noted, though, that in the wake of its recent popularity the issue of liver toxicity has come up. While its anti-anxiety properties are strong, it may be a good idea to resort to other natural remedies if you are already experiencing liver issues or are already taking maintenance medication that strains your liver. It is typically available in powdered root or tincture form outside its native locale, where it can be prepared and consumed fresh. It’s often sold as a single ingredient in loose or capsuled powder form, though as a liquid extract or tincture it’s sometimes combined with other popular natural sleep remedies like California Poppy, Passionflower or Valerian. Chinese native Magnolia officinalis is one of over 200 plant species under the genus Magnolia, which is in turn under the family Magnoliaceae. It can be confusing to just call it Magnolia, so for the purposes of this site, let’s just call this species Magnolia Bark. After all, it’s not the entirety of the deciduous tree that concerns us—just its very aromatic and medicinal bark. The latter is in fact the reason this tree has been cultivated for thousands of years. In traditional Chinese medicine, Magnolia Bark is used as an antibacterial, antiseptic, antispasmodic, digestive, diuretic and expectorant—among others. It’s also known to promote relaxation and calmness, easing both the body and mind into sleep easily. In fact, more than a sedative sleep remedy, it’s been studied as an anxiolytic. Worth mentioning here is that it’s been studied for toxicity in the past, similar to Kava; likely due to the fact that although it’s been used for centuries in folk medicine, determining proper dosage is a problem for people who aren’t used to these exotic plants. It is typically available in powdered root form, whether loose or in capsules. You can also boil the dried bark and drink the liquid as herbal tea. It’s also present in many topical applications. 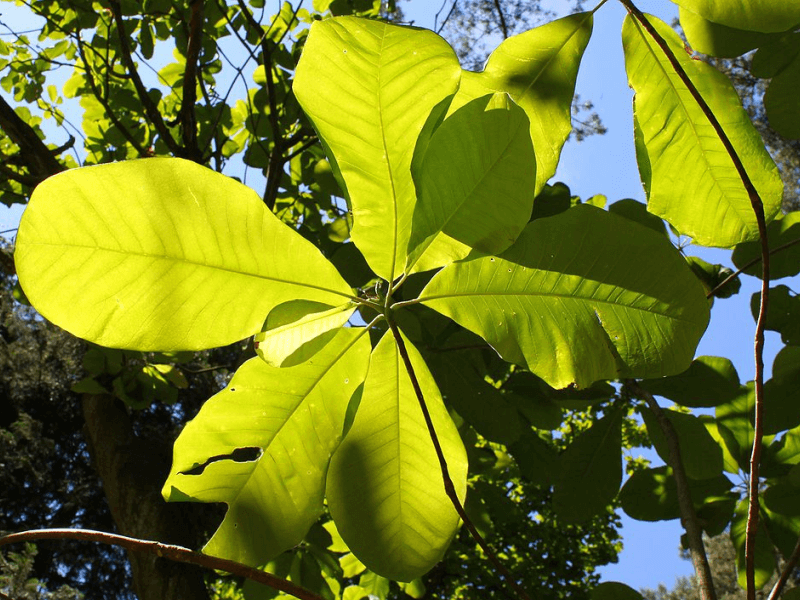 Usually marketed as a mood enhancer or appetite suppressant, Magnolia Bark’s efficacy as a sleep remedy seems like a bonus effect, compared to everything else it is normally used for.